We all know how shelves just eat up our stuff, from loose change to, in this case, an entire Mario Kart 64 box. With stateside Toy R’ Us store shutting down one by one and moving their stuff away, Redditor, RaspberryChainsaw, found a dusty Mario Kart 64 box underneath a shelf. 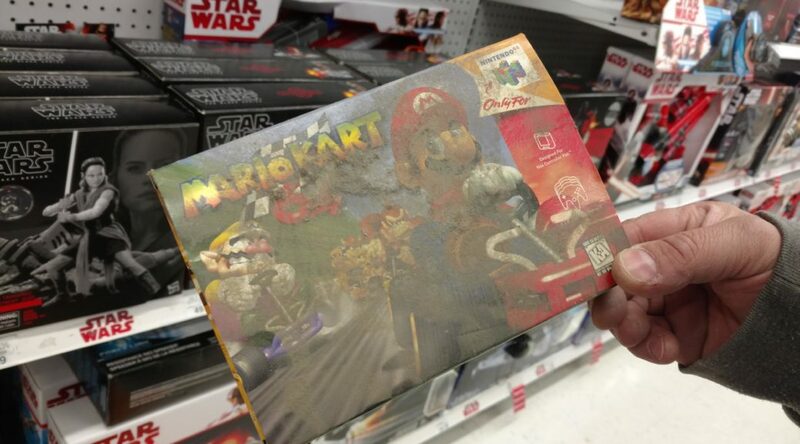 To put in perspective, Mario Kart 64 was released in December 1996; it is likely the empty game box stayed underneath the shelves for a good twenty years. It would be nice to see what other treasures they can dig up from inconspicuous areas around closing stores.